Take it (and keep it) online. The Wii U uses Wi-Fi by default, but that can be a bit flaky. There's no in-built Ethernet port, but any kind of Ethernet adapter built for the original Wii should work — just plug it into one of the USB ports and then plug a network cable in for more reliable online services. Make the most of your GamePad. The GamePad's second screen brings extra functions to games, but it's also capable of running them. If you've got New Super Mario Bros. U or Sonic & All-Stars Racing Transformed, you can fire up the Wii U from the GamePad and play without having the TV on. To switch off the GamePad, press 'Home > Controller Settings > Display Off'. Shiny, happy GamePad. The Wii U's GamePad is a decent bit of kit, but if you're playing it in a very bright room where it's hard to see the screen, plugging it in will make it brighter than it can manage when it's fully wireless. Grab a screenshot to show off (or to get in-game help). The Wii U's GamePad has an automatic screenshot capability for posting to the Miiverse boards (Nintendo's own Wii social network). It's simply a matter of hitting the 'Home' button when the moment comes and selecting 'Miiverse'. You'll be taken to the community page for that game; hit 'Post' and select the icon that looks like a picture with a plus symbol at the top-right. Expand your storage. If you got the basic Wii U, you're stuck with 8GB of storage. It's pretty simple to add an external USB hard drive to your Wii U. It'll natively support up to 2TB drives, but it's a very good idea to go for a drive with its own power supply. Get your screen size right, not just 'good enough'. 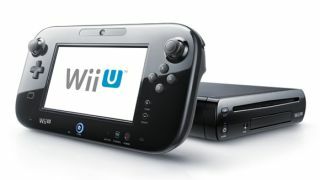 The Wii U may not pick your screen size correctly, which can lead to slightly cut off buttons at the sides. To fix this, go to 'Miiverse > User Menu > Settings/Other > Miiverse settings'. Scroll down to the screen size selector. Reduce screen size to the point just before the tips of the arrows vanish to get proper full-screen gaming!